National Philanthropy Day® (NPD) is a special day set aside on the fifteenth of November to recognize the great contributions of philanthropy—and those people active in the philanthropic community—to the enrichment of our community and the world. NPD was originally conceived of and organized by Douglas Freeman in the 1980s, and the first official event was held in 1986 after President Ronald Reagan signed an official NPD proclamation. The day provides an opportunity to reflect on the meaning of giving and all that it has made possible. NPD celebrates the endless daily contributions individuals and organizations across the world make to countless causes and missions. 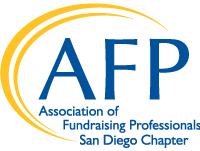 Last year, more than 130 AFP chapters held NPD events across North America. In addition, AFP launched #NPDLove and the NPDLove.com website, a global social media outreach and awareness campaign to engage the global charitable sector, the philanthropic community, and the public in activities to demonstrate “love of humankind” and highlight how they (or their organization) are helping to change the world. San Diego’s NPD is one of the largest and most successful in the U.S., attracting between 850 and 1,300 participants including philanthropists, nonprofit leaders, board members, development professionals, business, community, and civic leaders. NPD has been celebrated in San Diego for decades. Philanthropists who have been recognized include Denny Sanford, Malin Burnham, Earnest Rady and many others who have given back so much to our community. Themes have included A Symphony of Philanthropy and Reaching New Heights and in recent years the event itself has been held at The Hilton Bayfront, Copley Symphony Hall, and the Del Mar Fairgrounds. Three primary committees are engaged in making the event possible, the Honorary Committee, Planning Committee, and Resource Development Committee. Planning has already been initiated for NPD 2018. 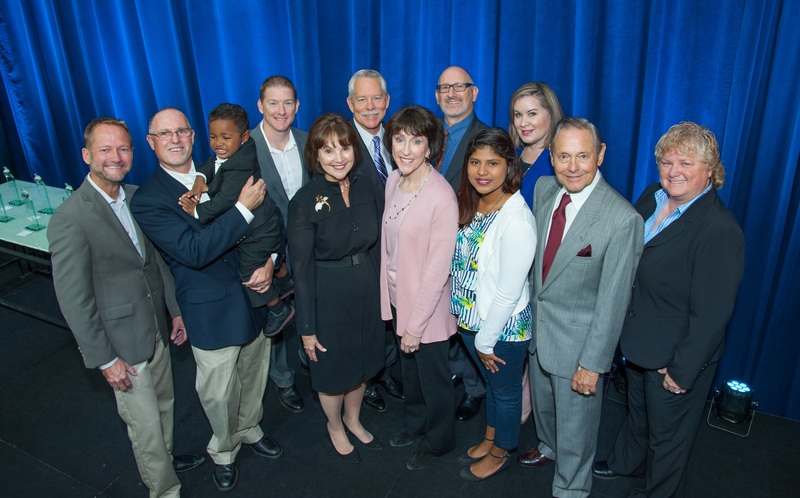 Recent presenting sponsors have included UC San Diego, National University, and Sharp HealthCare, and as many as 60 corporate and foundation sponsorships have been secured in a single year for NPD. There’s nothing quite like the community coming together with hundreds of like-minded San Diegans in support of all of the good work that we accomplish through philanthropy and development. Please contact Katie Gomez, our Chapter Manager, to get involved in a specific committee to help make National Philanthropy Day 2019 a great success!